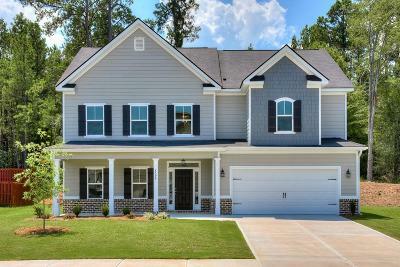 Are you looking for experienced, knowledgeable Realtors to help you purchase or sell a home in the Augusta, GA or Aiken, SC area -- including Evans, Grovetown, Martinez, North Augusta, Graniteville communities? 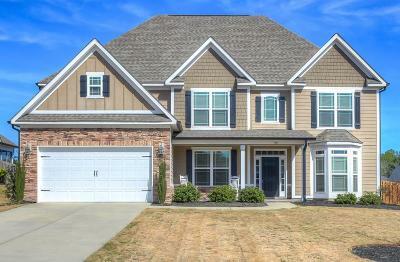 Are you transferring to Ft. Gordon and interested in finding a home for sale or rent near Ft. Gordon? Would you like more information about buying a new construction home? Ella Perry and her daughters are award-winning Realtors that specialize in helping buyers and sellers in both the Greater Augusta, GA (CSRA) and Aiken, SC markets. This powerhouse mother and daughters team are seasoned real estate professionals with a combined 40 years of experience. The PR Group, which is recognized as one of Augusta's top sales team and is regularly ranked in the TOP 10 of real estate agents in the CSRA has achieved success through their dedication to their buyers and sellers, client referrals and professionalism. Ella and her daughters joined Blanchard and Calhoun in 2011, and they formed The P-R Group in late 2013. In 2012 & 2013, Ella was named Blanchard and Calhoun's TOP New Home Sales Agent and entered into the 2012 & 2013 Leadership Council (which reflects high volume sales). They have won team awards through 2018 as Top Sales Team and Top New Homes Sales Agents for Blanchard and Calhoun Real Estate, and are annually ranked as Blanchard and Calhoun's Top Ten Agents. Also, Ella and Amanda were both named Vice Presidents of Blanchard and Calhoun in 2016 -- a very prestigious accolade to account for years of high-volume sales & excellent customer service. Whether you need assistance buying, selling or renting a home, The P-R Group will work hard to make sure your questions are answered promptly and the services provided are top-notch. Whether serving as a certified buyer's agent, accredited seller's agent, property manager or relocation expert, our team will help guide and inform you as you make important decisions for you and your family. If you're just not ready to talk to a Realtor, our website is an excellent resource to learn more about the local real estate market and to search for all available listed homes in the area. Whether you're looking for new construction, a small or large family home, small lot or farm, you'll find the site's Quick Search or Map Search feature a useful resource to browse for up-to-date listings of all available properties in the area. 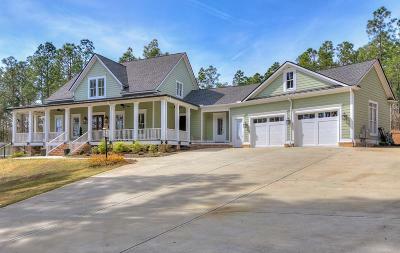 This website is linked to the Augusta multiple listing site used by all local Realtors and therefore is the most up-to-date source for finding homes for sale or rent in Augusta and surrounding counties -- including Columbia, Richmond and Aiken Counties. If you find a property during your search, Ella, Amanda or Megan are available to answer questions or get you on the path to buying or selling your home. If you're a first-time home buyer or relocating to the area, The P-R Group will provide valuable insight and guidance to help ensure you make a good real estate decision. All are experienced in relocation, including military PCSing as Ella formerly worked as a local USAA referral agent. Blanchard and Calhoun Real Estate participates in the Military on the Move program (MOM), which has a very competitive relocation program. Let one of the ladies know if you need more information on MOM. Buying or selling real estate is a major investment decision and you should have professional, experienced Realtors on your side to assist you ... contacting us is an important first step! We Always Appreciate Reviews on Zillow!